Twenty years since it last convened, with the exception of the extraordinary session held in 2009 for the purposes of electing a new executive committee for the Palestinian Liberation Organisation (PLO), the Palestinian National Council (PNC) was held during the period 30 April until 03 May 2018. In light of the recent events there is an importance of reclaiming the PLO as the sole and legitimate representative of the Palestinian people. Additionally, the PNC represents Palestinians in all places of existence. 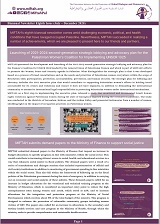 And as the highest authority in the PLO that is responsible for formulation of policies and development of programmes of the PLO towards the realisation of Palestinian inalienable rights of return, independence and sovereignty and statehood, we present this fact sheet on the PLO with a special focus on the PNC. The PNC was established by the First National Conference, which was held in Jerusalem between 28 May and 02 June 1964, in the presence of 433 members. The Executive Committee was created and Ahmad Shukeiri was elected as president. 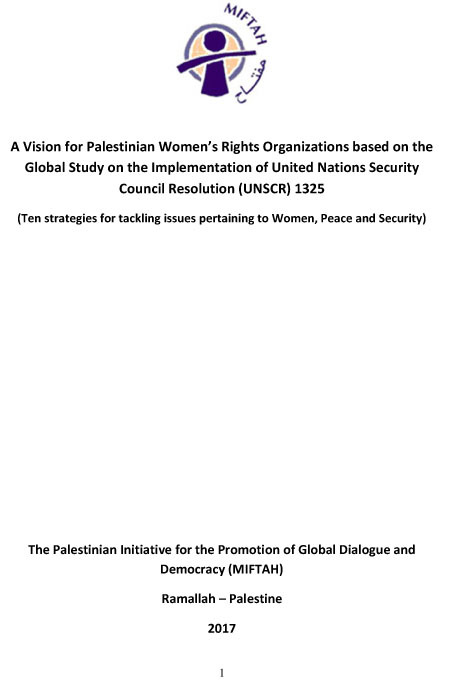 Provide the military (Palestinian Liberation Army), political (Palestinian National Charter), financial (Palestinian National Fund) and administrative (internal bylaws) infrastructure necessary for the functioning of the PLO. The main bodies of the PLO are the Palestinian National Council, Palestinian Central Council and the Executive Committee. Represents the legislative authority to all Palestinians in the occupied territory, including Jerusalem, and in the diaspora. Identification of the policies of the PLO. Determine and change the membership of the PNC. Amend the Palestinian National Charter and internal bylaws through the conduction of extraordinary sessions. Palestinian Legislative Council list: 132 seats. Higher Council for Youth and Sports: 3 seats. The Palestinian Central Council was established by the PNC in its 11th session in 1973. The Central Council serves as the link between the PNC and Executive Committee. The Central Council currently comprises 124 members of the PNC, including Executive Committee members, political factions, trade unions, syndicates and independent Palestinians. The Central Council acts on the behalf of the PNC if the latter cannot convene. The Executive Committee represents the executive authority of the PLO. The Executive Committee represents the PLO on the international level. The Executive Committee is elected by the PNC. The tasks of the PLO include the implementation of the policies and decisions of the PNC and Central Council; adoption of the PLO’s budget; and follow-up of the work of its various departments. Popular Organisation and Planning Department: Dr. Ahmad Majdalani. Negotiations Affairs Department: Dr. Saeb Erikat. Expatriate Affairs Department: under the supervision of the Chairperson of the Executive Committee Mahmoud Abbas. Popular Mobilisation Department: Wasel Abu Yousef. Human Development Department: Dr. Faisal Aranki. o Establishment of the PLO. o Election of Ahmad Shukeiri as President of the PNC. o Creation of the Executive Committee with Ahmad Shukeiri as President. o Provide necessary military, political, financial and administrative infrastructure. · Occupation of the West Bank, including east Jerusalem, Gaza Strip, Golan Heights from Syria and Sinai Peninsula from Egypt in six day war. o Election of Abdul Muhsen Qattan as President of the PNC. o Election of a new executive committee with Yehia Hamoudeh as President. o Election of Yehia Hamoudeh as President of the PNC. o Election of a new executive committee with Yasser Arafat as President. o Representation of the Democratic Front from the Liberation of Palestine in the Executive Committee. · Black September events, relocation of PLO from Jordan to Lebanon. o Representation of Arab Liberation Front, Palestinian Popular Struggle Front and Popular Front for the Liberation of Palestine in the Executive Committee of the PLO. o Expansion of the membership of the PNC by 50% and allocation of new seats to trade unions and syndicates. o Creation of the Central Council of the PLO. o Election of Khaled Fahoum as President of the PNC. o Representation of the Popular Front for the Liberation of Palestine- General Command in the Executive Committee of the PLO. · Recognition of the PLO as the sole legitimate representative of the Palestinian people in the United Nations General Assembly. · Fourteenth PNC session (15- 22 January, 1979) was held in Damascus instead of Cairo to denounce the signing of the Camp David agreement between Egypt and Israel. · Siege of Beirut and relocation of PLO from Lebanon to Tunisia, Algeria, Yemen and other Arab States in August and September. o Election of Abdul Hamid Al-Sa’eh as President of the PNC. o Declaration of Independence of State of Palestine over land occupied in 1967. · Adoption and welcoming of Madrid Peace Conference. · Signing of Declaration of Principles (Oslo I). · Signing of Oslo II and Paris Protocol. o Election of Salim Za’noun as President of the PNC. o Expansion of the membership of the PNC to include Legislative Council members. o Repeal and amendment of Articles in the Palestinian National Charter. · Endorsement of modification made to the Palestinian National Charter by Palestinian Popular Conference. · Election of Mahmoud Abbas as President of the Executive Committee following the death of Yasser Arafat. o Extraordinary session led to the election of the first woman to the Executive Committee of the PLO: Dr. Hanan Ashrawi. o Election of a new executive committee with Mahmoud Abbas as President and the membership of Dr. Saeb Erikat, Azzam Al-Ahmad, Dr. Hanan Ashrawi, Tayseer Khaled, Bassam Al-Salhi, Ahmad Majdalani, Faisal Aranki, Saleh Ra’fat, Wasel Abu Yousef, Ziad Abu Amr, Ali Abu Zuhri, Adnan Al-Husseini, Ahmad Bayoud Tamimi and Ahmad Abu Holi.